Sorry, we are currently sold out of 'Silky 10mm Midnight Blue Agate Beads'. Please check back later. Sorry, we are currently sold out of 'Large Shiny 10mm Summer Picasso Agate Beads'. Please check back later. Sorry, we are currently sold out of '48 Rich 8mm Faceted Purple & Black Agate Beads'. Please check back later. Sorry, we are currently sold out of '13 Large Faceted Cornflower Blue Agate Teardrop Beads'. Please check back later. Sorry, we are currently sold out of 'Irresistible Cornflower Blue Frosted Agate Beads - 6mm'. Please check back later. Large 19mm Shiny Green Agate Button Beads - Heavy! Sorry, we are currently sold out of 'Large 19mm Shiny Green Agate Button Beads - Heavy!'. Please check back later. 28 Large Shiny Black Agate Pillow Beads - Stylish! Sorry, we are currently sold out of '28 Large Shiny Black Agate Pillow Beads - Stylish!'. Please check back later. Sorry, we are currently sold out of 'Gorgeous Violet Red 6mm Agate Beads'. Please check back later. 16 Large Gleaming 24mm Distinctive Agate Pillow Beads - Heavy! 22 Large Gleaming Agate Chunky Button Beads - looks like marble! 21 Gleaming Large Rustic Agate Nugget Beads - Heavy! Sorry, we are currently sold out of '21 Gleaming Large Rustic Agate Nugget Beads - Heavy!'. Please check back later. Sorry, we are currently sold out of '12 Mysterious Agate 9-Eye Dzi Barrel Beads - 29mm x 10mm'. Please check back later. Large Shiny Navy Blue Agate Flat-Diamond Beads - Heavy! Sorry, we are currently sold out of 'Gorgeous Forest Green Agate Cube Beads'. Please check back later. Sorry, we are currently sold out of 'Large Blue Diamond Slab Botswana Agate Bead'. Please check back later. Twist Oval Purple Agate Beads - Unusual! Sorry, we are currently sold out of 'Twist Oval Purple Agate Beads - Unusual!'. Please check back later. Sorry, we are currently sold out of 'Three Reddish-Purple Oval Fire Agate Beads'. Please check back later. Large Red Fire Agate Button Beads - Heavy! Mighty Orange Fire Agate Pillow Beads - Heavy! Sorry, we are currently sold out of 'Enchanting Faceted Dzi Agate Prism Beads'. Please check back later. Monstrous Sparkling Agate Teardrop Beads - Heavy! Sorry, we are currently sold out of '29 Glittering Moroccan Agate Button Beads'. Please check back later. 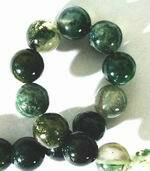 Beefy Forest-Green Agate Barrel Beads - Heavy! Chunky Yellow Botswana Agate Nugget Beads - Heavy! Sorry, we are currently sold out of 'Unusual Red & Black Wavy Agate Square Beads'. Please check back later. Large Brazilian Agate Tube Beads - Natural! 6 Titanic Web Agate Barrel Beads - Heavy & 39mm Long ! 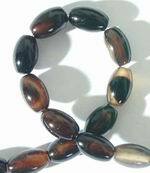 Sorry, we are currently sold out of '6 Titanic Web Agate Barrel Beads - Heavy & 39mm Long !'. Please check back later. 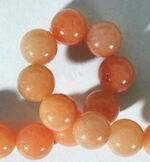 Sorry, we are currently sold out of 'Large 10mm Peach Agate stone Bead Strands'. Please check back later. 8 Huge Classy Teardrop Matte Black Agate Beads - Heavy! Magnificent Large 14mm Faceted Olive Green Agate Beads - Heavy! 6 Dramatic Long Agate Barrel Beads - Heavy! 28 Large 14mm Faceted Deep-Rainbow Agate Beads - Heavy! Sorry, we are currently sold out of '28 Large 14mm Faceted Deep-Rainbow Agate Beads - Heavy!'. Please check back later.